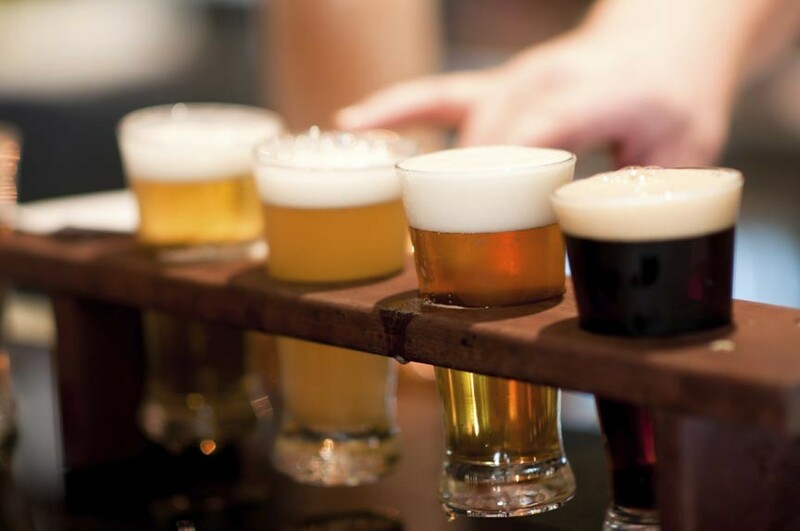 Sample Suds on a Portland Craft Brewery Tour! Craft beers are taking the nation by storm and Maine is a haven for microbrewers. What better way to get the inside scoop on this exciting industry (not to mention some fresh samples!) than with a Portland Craft Brewery Tour! Whether you’re a craft brewer yourself, a fan of microbrews, or just curious about the beer brewing process, a Portland craft brewery tour is just what the doctor ordered for a fun, fascinating, and potentially delicious day-trip! The Portland, Maine area has long been home to a number of fine breweries, wineries, and distilleries. The craft brewing movement has seen scores of new breweries and craft beer venues springing up all over the region, with award-winning, hand-crafted beer featuring local flavors and ingredients as their focus. A Portland craft brewery tour will take you inside this experience to meet the brewers, tour their operations, learn about the craft brewing process from the growing of the hops and grains to the bottling of the finished product, and best of all, sample fresh, craft beers from some of the state’s best craft brewers. Not all venues offer the same experience – some require reservations for tours, require payment for tasters of their product, or have limited samples on hand. Be sure to take the time to investigate the Portland brewery you hope to visit beforehand to ascertain their hours and tour availability. For an all inclusive Portland brewery tour experience, give Maine Beer Tours (www.mainebeertours.com) a try. Their popular service offers several different tour options to many of Portland’s most popular craft brewers. Best of all? You can leave the driving to them – which means worry free craft brew sampling! Brewster House Bed & Breakfast is located in Freeport, MN, is but a quarter-hour’s drive from Portland. Our convenient location in the picturesque town of Freeport gives you the advantage of quiet, comfortable lodging to retire to while still within easy travel distance to the exciting hustle and bustle of Portland: the best of both worlds! Brewster House Bed & Breakfast offers world-class service and amenities, as well as an insider’s knowledge of all there is to do and see in the area. Take advantage of the Brewster House advantage and book your stay now!